National Professional Services and Staffing Company claims a spot on the Inc. 5000 honor roll. 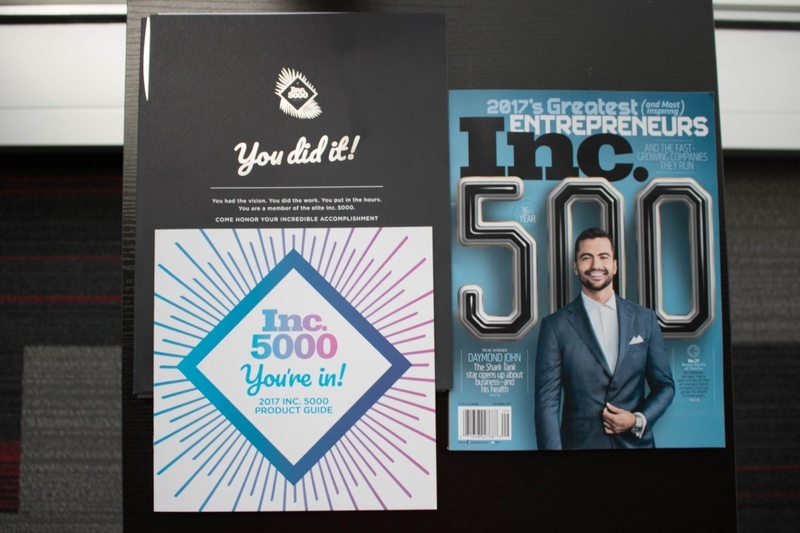 ORLANDO, FL – For the fifth year in a row, Kavaliro, an award-winning national professional services and staffing company, is proud to announce its position on Inc. Magazine's annual exclusive list the Inc. 5000. The IT Staffing firm has been recognized for its 188 percent growth in the past three years. The Inc. 5000 includes the fastest-growing private companies in America, highlighting the nation's most successful private businesses across the nation and distinguishing them from their competitors. Kavaliro has also been included on the Inc. 5000 honor roll, which only honors companies that have made the list five times or more. "We are honored to be ranked for the fifth consecutive year by Inc. Magazine on its respected list of fastest growing private companies in America and become a part of the prestigious honor roll," said Mark Moore, president of Kavaliro. "This is a huge milestone for Kavaliro that we are so proud of and we couldn’t have reached without the entire team. We have worked very hard to get to this point and this recognition will help us continue to grow together as a company." Since placing on the list last year, Kavaliro has not only added to its growing team by opening a Petaluma, CA office, but also grown year over year in its other already established five offices. This announcement comes on the heels of Kavaliro being ranked on several prestigious lists that include: Orlando Business Journal's Fast 50: Central Florida's Fastest-growing Companies, Orlando Business Journal's Golden 100: Central Florida's Top Privately Held Companies, and Florida Trend's: 2015 Best Companies to Work For in the Small Business Category. Inclusion on the Inc. 5000 list recognizes Kavaliro for its outstanding efforts in staffing and motivating the economy on multiple levels. Kavaliro, which is primarily a technology and IT staffing firm, has 450 employees and expects to close the year with $55 million in revenue. Inc. Magazine ranks the fastest-growing companies by industry, metro area, revenue and number of employees.